So today i got my FLYT PI sent to me for testing by FLYTBASE. Its a awesome board for all DIY Hobbyist and Commercial Use. FLYTPI is a Raspberry-Pi preconfigured for the using various autonomous functionalities via Web console or IP based applications, there are various use-cases and applications platforms supported by FLYTOS. So basically it is a layer on the Flight controller inorder to extend its features like autotake, Follow me, Vision positining,Object detection,etc. Lot of features and wide variety of applications. Coming to What we get in the FLYTPI KIT. First step is to remove all the contents out and explore them. Later after removing all the packaging and all i could see a raspberry pi with sd card preconfigured and installed with “flytos” by flytbase. As you see RPI comes preconfigured with flytos and with a nice case and all wires required, you will find a molex cable coming out of the RPI case so that goes to your Pixhawk Telemetry port 2 for communication between (RPI)FLYTOS and PIXHAWK. So you are all set when you order a FLYTPI. You get all ready to go device thats plug and play. Now that you can browse wifi settings on any of your mobile device or laptop and connect to flytpi. 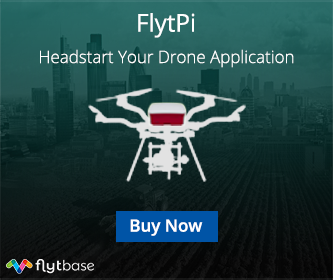 And now you can browse all settings in the FLYTOS and use your drone, you can now do the following features wirelessly (just connect FLYTPI and Pixhawk on your drone) NO NEED OF ANY USB. So that also means no wire tangling when you are calibrating your drones all sensor calibration can be done via the webconsole : you can type in – localhost/flytconsole once you have connected to the FLYTPI. Also the Ip assigned is 10.42.0.1 you can even connect to this ip. So lets get a overview of what all is actually there in the Flytconsole and how does it looks like. This is a image of FLYTPI been booted up and in ready mode. NOTE : While powering on your FLYTPI remember to power on your Pixhawk so as the Flytos detects Pixhawk. So as you see your license is already activated from flytbase. Just and Plug and Use. So all the features that you see above arent available with FLYTPI as of now but then you can use the sensors calibration tab and RC calibration tab easily. So to get the maps functioning properly you will have to connect a dongle to FLYTPI to get the maps downloaded which it doesnt all on its own if you are planning to use auto-missions. But is totally workable if you are just to explore it and not use it. DJI Phantom or Inspire can now do live on Facebook/Youtube/weiBo/custom!! !